I chose Learn Driving UK as they had the best pass rate and great reviews. Bob Hardy made learning to drive a lot easier than i expected it to be. He really helped me with reversing. Bob was really good and i would highly recommend him as i passed first time. I chose Peter Andrews because of ratings from other students. The price of lessons was very good. Learning to drive was what i expected it to be really. Peters teaching methods were very easy to understand and thorough. I would highly recommend Peter and Learn Driving UK, well priced and well taught. I wanted a reputable, good value for money, friendly driving instructor. I also wanted a driving instructor who was able to explain things well and was patient with me as i learned. Learning to drive was much better than i expected it to be. Alex Evans was a very approachable and supportive driving instructor. He was always reliable and chatty, lots of Star Wars conversations (always a bonus). Alex's teaching methods were really beneficial and i passed first time. Alex used explanations, demonstrations, diagrams and drawings to teach, which really assisted my understanding. Each lessons is catered around what you need/want. I would highly recommend Alex, i had a great experience with Learn Driving UK. I know many of my friends have too. Alex was recommended to me. He was friendly, knowledgeable and easy to understand. I think learning to drive was what i expected it to be like. Alex's teaching methods were easy to understand and good results. I would highly recommend Alex Evans and Learn Driving UK, excellent friendly driving instructors. I wanted a driving instructor who was calm. I chose Learn Driving UK as they were recommended and great packages and prices. Alex Evans made driving feel and be a lot easier than i expected it to be. Alex made me feel confident about my driving and composed on the roads and i passed first time. I would highly recommend Alex Evans and Learn Driving UK as they have a great pass rate and very kind and helpful driving instructors. Chris Dawson was recommended to me by a friend. I wanted my confidence building where it came to driving. Learning to drive was brilliant, but still difficult. Chris Dawson's teaching methods were very good. He was calm (which was great because it got me use to how the test instructor would be) He got my confidence up very quickly. I chose Learn Driving UK and Chris Dawson as they were recommended to me. The price and them been local also appealed to me. Learning to drive was as i expected it to be. Chris's teaching methods were great, the routes i went on were ideal. Chris is a great driving instructor and i passed first time. I wanted a driving instructor who was friendly. Learn Driving UKs reviews and prices were very good so i chose them. I progressed faster than i thought i would and passed first time. Tam was excellent, reliable and friendly. Mates said that Tam was good. I expected quality and i got it and passed first time. I would highly recommend as Tam was excellent. Availability was important to me. Learning to drive was much better than i expected it to be. Chris Dawson was always punctual, enthusiastic and very patient. Chris moved at just the right pace for my learning and the mock test really raise areas to work on. There was plenty of availability and great knowledge of test routes which really helped. 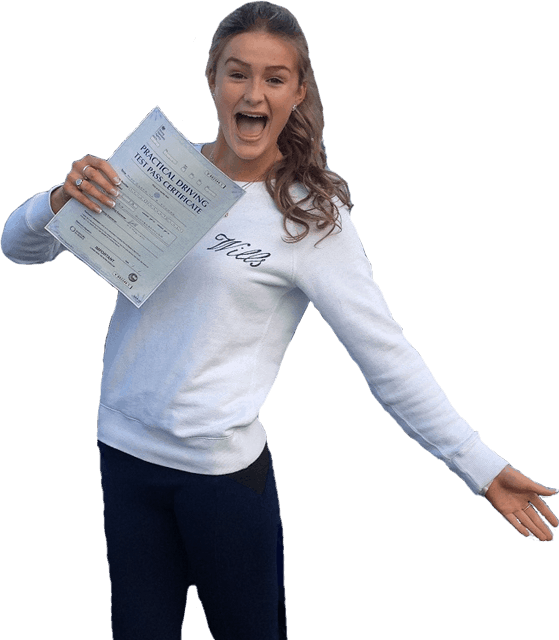 "I wanted a relaxed and young driving instructor. A friend recommended Learn Driving UK and Alex to me as she passed first time too. Learning to drive was easier than i expected it to be. Alexs teaching methods were nice and easy. I would highly recommend Alex and Learn Driving UK as they are the best driving school." "I chose Learn Driving UK as they had competitive prices and really good reviews. Recommendations, reviews, pass rate and customer services when booking lessons was really good. Learning to drive was better than expected. Lessons were very relaxed due to Alex and his experience. Alexs teaching methods were easy to follow and very informative. Alex is a credit to the company. I had lessons in the past with a different company and they were nothing in comparison. Yes without a doubt i would highly recommend Alex and Learn Driving UK. Alex is very patient and easy to get along with." I wanted to feel comfortable and at ease on my driving lessons. I found Anthony easy to get along with, he helped me feel at ease. Learning to drive wasn't as difficult as i had thought it would be and i passed my test first time. Anthony's teaching methods were very effective and easy to remember. My mum chose my driving instructor and looked at reviews from previous students. I wanted a driving instructor who was friendly with clear, precise instructions. Learning to drive was easier than i'd expected. Tams teaching methods were fantastic, he was helpful and patient with me. I would definitely recommend Tam and Learn Driving UK because of the high quality instructors. I wanted a driving instructor who was relaxed and patient. Availability and cost mattered to me too. Learning to drive was better than i expected and more fun and i passed my driving test first time. Tam was brilliant, he made me feel really comfortable.